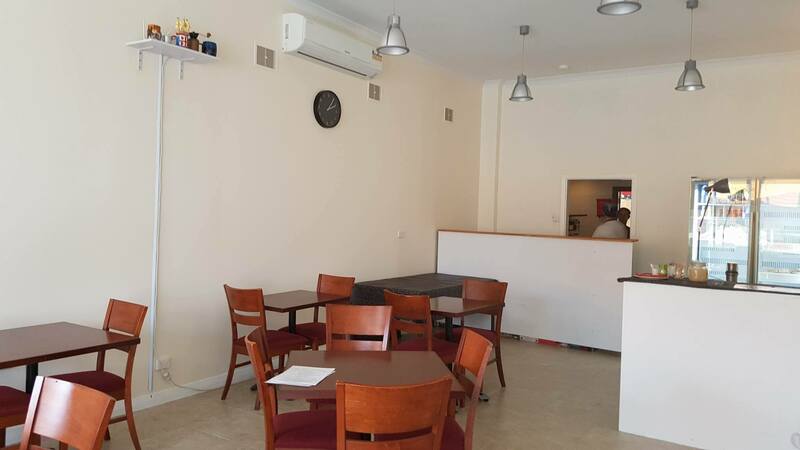 Amore Mio Cafe Maylands is a pizzeria and eatery that opened on the 23 March 2016. 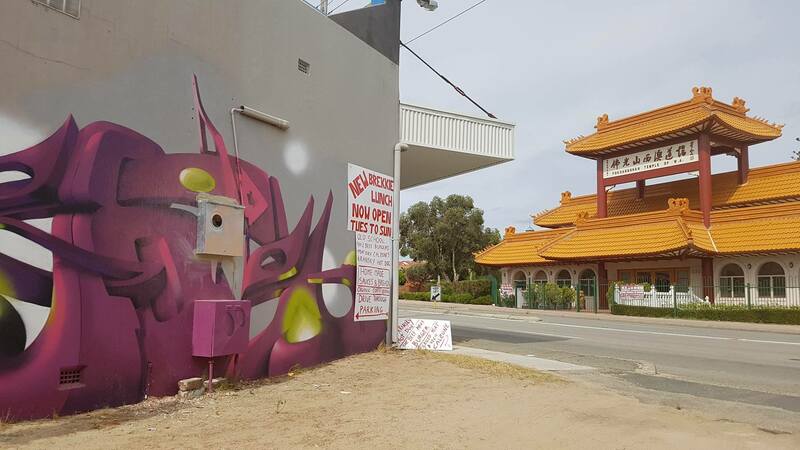 We were driving down Guildford Rd east bound and noticed some striking red writing outside against the white wall across the road from the Fo Guang Shan Temple in Maylands. In case you have no idea what that is, does this picture help? 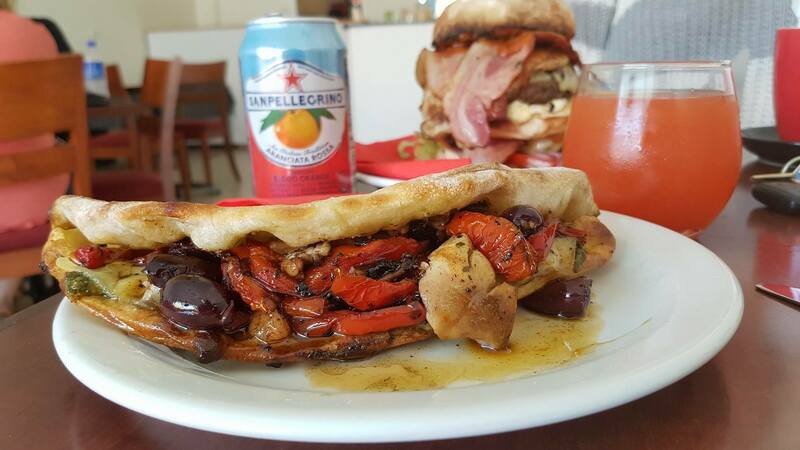 Amore Mio Cafe Maylands is an ‘old school’ burger and calzone bar. They serve ‘old school’ burgers that do not use breadcrumbs or egg to bind the patty together, all meat like back in the day. They also serve a variety of Calzone’s one that particularly caught my eye was the “cheese kransky sausage calzone” – think this one will gain a cult following. Complete with caramelized onions and melted cheese, sounded a good option out of leftfield. Haven’t heard of a cheese kransky calzone, have you? 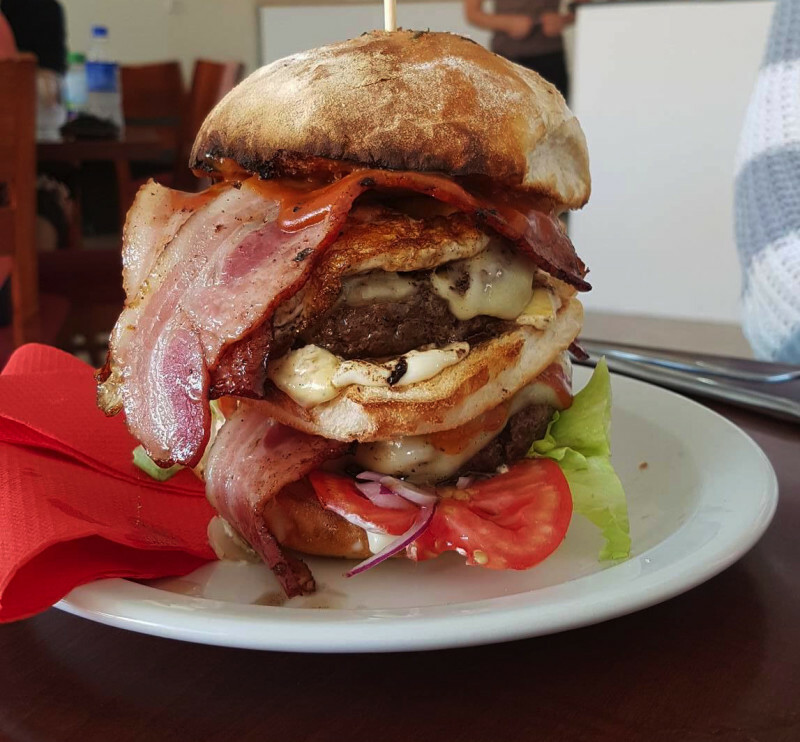 Of course in true Foodie Hub style had to order the biggest thing on the menu – low and behold “The Maxi Burger” – 400 grams of premium mince on ‘two levels’ of burger with bacon and cheese ‘on each floor’. So this is a homemade bun with a centre piece in the bun. Judging by the above and below response on social media, this one is going to get maximum cult following – no doubt. Like a good cafe, all the sauces are made in house. From the house secret aioli to the ‘homemade secret sauce’ some may find this burger extra juicy however as Chef explains “that’s what happens whenna you makea the old school burger with all meat – no breadcrumbs or egg to bind it together”. What you don’t see in the picture is above where the shot was taken they have hanging on the walls some cool local art. They also do an all day breakfast and some great sounding breakfast calzones – like the ‘Fisherman’s Breakfast’ with salmon in the Calzone. A modest little dining space with great natural light, dark chocolate mud cake and carrot cake with philly cheese frosting, walnuts and mixed dried fruit and coffees from $2.50 (Affogato most expensive at $4.50!) suggest you get in quick, before the rest of Perth catches on. Will update in future, for now, they are so fresh they don’t even have a FB page! This is the only online content we could find for them, for now. Add YOUR photos of Amore Mio Cafe Maylands to our online community by hash tagging #thefoodiehub on Instagram or Twitter and posting them to The FoodieHub’s Facebook page. Or write YOUR own review! Leave a comment below and tell us what you thought of your experience at Amore Mio Cafe Maylands!